The first time I read Judy Blume’s Tiger Eyes, I was just a little younger than Davey, the fifteen-year-old narrator and heroine. Now, some two decades later, I’m just about the age of Davey’s mom. Interestingly, the characters on the pages haven’t aged a day since our last visit. 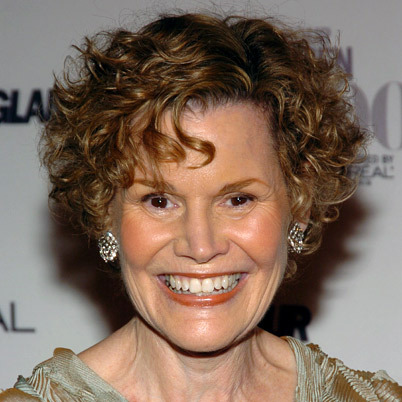 On Saturday I heard Judy Blume speak about the debut of the movie version of Tiger Eyes, released last Friday. At the end of her talk, she opened the floor for a Q & A with the audience. To my astonishment, dozens of young girls stood up—from grade schoolers to middle schoolers to high schoolers—to let her know how her books had connected with them. Superfudge, Freckle Juice, Are You There God? It’s Me, Margaret: the same books that kept me company some twenty years ago. “We read to know we are not alone,” C. S. Lewis said. And sure enough, Judy Blume’s books were there to let me know I wasn’t the only one wrestling through the crazy-making emotions that come with the territory of growing up. At one point near the end of the Q & A session, a teacher took the mic and asked Judy why she thought her books had held up for so many years. The next day in church, the message was about Exodus 3, where God shows up to Moses in the form of a burning bush. In this scene, God reveals his name to Moses, and it’s kind of a curious one—a verb where we’d expect a noun: I Am. “Say this to the people of Israel: I Am has sent me to you” (Exodus 3:14). God didn’t reveal himself as “I Was”—citing a track record of things he’d done in the past. He didn’t reveal himself as “I Will Be”—claiming what he’d do one day in the future. He was saying, in effect, Wherever you find yourself in the timeline of history, I Am there. Generations come and go. Traditions change, culture fluctuates, technology thrusts us ever forward. But we humans, at our core, are still the same. We love and we lose, we laugh and we cry, we mourn and we rejoice. And in the midst of it all, God and his Word remain relevant, timeless. 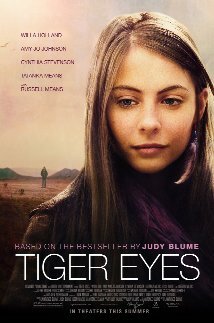 Even more timeless and more timely, I dare say, than Tiger Eyes. Note: For more on the burning bush artwork, visit http://fineartamerica.com/featured/burning-bush-anne-cameron-cutri.html.